In 1983, the second generation Canadian American Challenge Cup (Can Am) was in its seventh season. Interest in the Can Am was high as the previous year’s championship was not decided until the final round. Despite the competitiveness of the series the Sports Car Club of America was losing its race dates. The popularity of the Championship Auto Racing Teams (CART) meant that track promoters were dropping the Can Am races in favour of the Indy Cars series. Mid-Ohio, Laguna Seca and Riverside Can Am races were replaced with CART weekends. 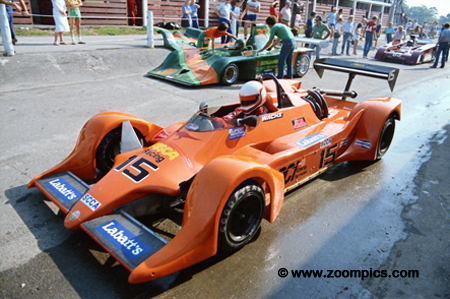 To add to this concern, established Can Am teams were also leaving the series and joining CART. 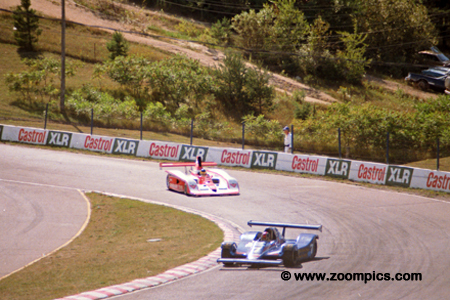 There were two Can Am events at Mosport in 1983. The first in June which opened the season was referred to as Mosport I and the second contested in September was called Mosport II. Events were also held at Lime Rock, Road America, Trois-Rivieres and concluding at Sears Point. Below is coverage from the 60-lap/147.5-mile Mosport II event. The Mosport II round came alive when pole-sitter Michael Roe retired and Jacques Villeneuve pitted for fuel and tires. Villeneuve charged hard to regain the lead he surrendered during his first pit-stop on lap-22. He was gaining as much as a couple of seconds a lap on Crawford late in the race but his miscue with 7-laps remaining left him with very little time to catch the leader - Crawford. 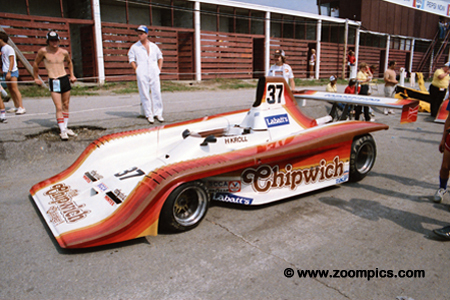 Jim Crawford made his Can Am debut in 1982 after winning the British Formula One championship. 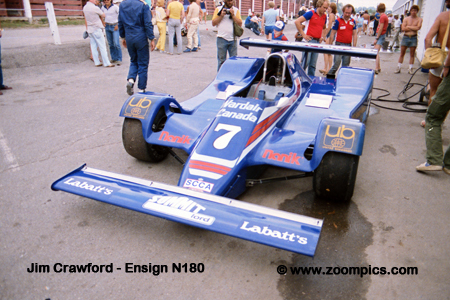 He competed in a converted 1981 Ensign N180B powered by a 3.3-liter Ford Cosworth DFV. At Mosport, he qualified third but when pole-sitter Roe experience a tire failure and Villeneuve pitted he took the lead. Villeneuve’s late race spin helped him to win. Crawford left Mosport with a one-point lead in the Drivers standings. Taking the under 2-liter category honours was Swiss driver Marzio Romano in a Ralt RT-2. Finishing second was the No. 15 Toleman TG280 driven Eddie Wachs. Toleman was a British company that produced Formula One cars between 1981 and 1982. Brian Henton won the European Formula Two title in a Toleman. Wachs qualified ninth overall and third in under 2-liter but finished second in class. 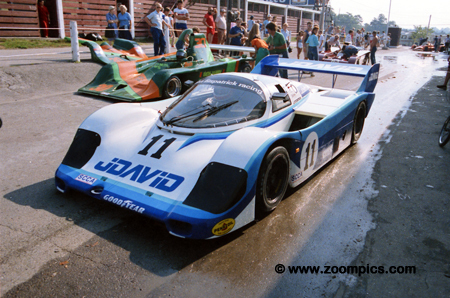 Michael Roe drove the VDS 002 which was acquired by Norwood-Walker Racing in 1983. In 1982, the car was driven by Al Holbert who finished a close second to Al Unser Jr. in the final standings. Roe qualified on the pole and looked set to dominate the race but suffered tire problems. He pitted to have the front tires replaced but on lap-23 it became obvious that the issue was the right rear as it failed on the back straight – Roe retired on the spot. A gap in John Fitzpatrick’s FIA World Endurance Championship schedule allowed him to compete in the Road America and Mosport Can Am rounds. Fitzpatrick drove a Group C Porsche 956 which was designed for longer races such as the 24 Hours of Le Mans. However, he won in his debut at Road America. At Mosport, he qualified fifth and finished third. 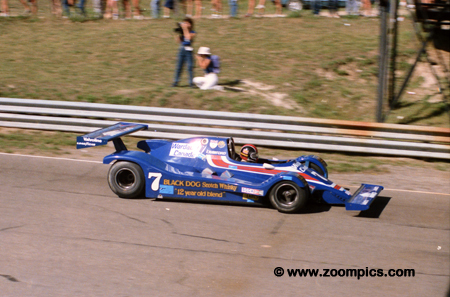 Swedish driver Bertil Roos joined the Can Am series in 1979 driving a converted Formula Atlantic Chevron B27. Roos entered the series with an impressive resume – he won the 1973 Super Vee title and made a Formula One start for Shadow at the 1974 Swedish Grand Prix. 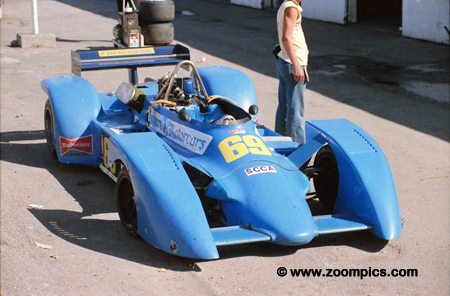 Roos qualified second in the under 2-liter category at Mosport driving a Scandia B-3 and finished third. He would win the 1983 under 2-liter championship. With sponsorship from Canadian Tire and the 1982 championship winning Frissbee, Jacques Villeneuve was the favourite to win the 1983 title. He dominated Mosport I and scored a second victory at Trois-Rivieres. Villeneuve was running second until Michael Roe retired - at that point he inherited the lead. When Villeneuve pitted, he lost first place to Jim Crawford. In an attempt to catch Crawford Villeneuve spun in turn ten. He closed but could not pass Crawford. 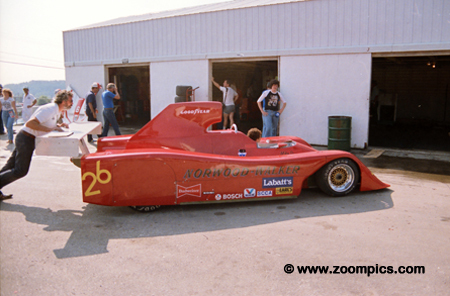 By 1983, local racer, Horst Kroll’s Formula 5000 Lola T-330 was fitted with Frissbee bodywork. Mosport II would be his forty-sixth Can Am start which was more than any active driver. At Mosport, Kroll qualified fourth but was eighth overall at the checkered flag. However, he was fourth in class which matched his best results in 1983.